The sixth string on my electric guitar is very loose when I use drop D tuning, but I really like the feel of the thinner strings otherwise- and I play as much in standard tuning. Would it work to have a thicker string only for the one I sometimes tune down? If so are there sets of strings you can buy like this? 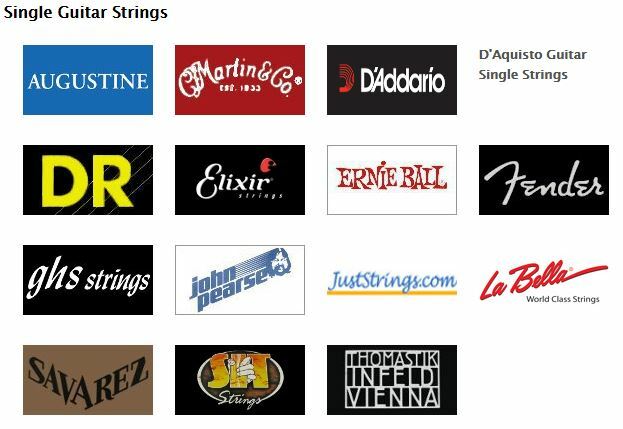 I've used non-standard strings for the last 40 or so yrs. Unfortunately, I can't buy them in sets, so I buy 10 of each at a time - making up 10 sets. Price then comes close to 10 standard sets. That doesn't really answer your question, but to do so, yes, use a slightly different gauge for the bottom one. The guitar may benefit from a tweak of the trussrod, but I doubt it. It may also need the action and intonation checking, with a different string. In the meantime, look around for another guitar, so you can have one standard tuned, and another as you want it. Bargains are worth keeping an eye out for! There is no reason why you cannot mix strings. You don't need to stick with a standard set, you can create a custom set (I have for years). If you deviate just a little from a standard set you'll probably be fine. If you do something severe you may need to adjust the truss rod to compensate for the extra tension. I use "heavy bottoms" on some of my guitars and I don't have any issues with floppy 6th string on drop D tuning. Some manufacturers make sets with what they call heavy bottoms. But you might not be happy with the gauges the manufacturer chose for the sets that are available. So what I do is purchase individual strings to get exactly the gauges I want. 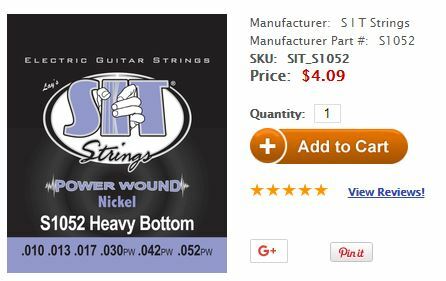 There are many string manufacturers who sell strings individually, and while it's more expensive per string than buying a whole set, it's less expensive than buying 2 different sets just to get one set with the gauges you are looking for. If you only want the low E to be heavier, you could just buy a few of those. The other consideration is the width of the slot in your nut for the 6th string. If you get a string that is too thick to properly seat in the slot, you (or a qualified guitar tech) will need to enlarge the nut slot with the proper file. You must be careful not to make the slot too wide because you don't want the string to have room to wiggle around in the slot. Most electric guitars have adjustable saddles so you may need to adjust the intonation on the 6th string after changing to a different gauge. You can find information on adjusting your intonation in the answers to this (What is intonation and how can I find out if my guitar has correct intonation?) question on this site. I would not advise you to go too heavy on just the low E because the increase in tension relative to your other strings at just one side of the neck could possibly twist the neck if left tuned over a long period of time. If you did go much heavier on just the low E string and want to be sure that the neck will not want to twist, you could leave the guitar tuned in drop D when you weren't playing it. Or as Tim suggested in his answer, have a dedicated Drop D guitar on standby for any songs you play using drop D. You will thusly be inspired to add many more drop D songs to your repertoire. And while I don't need much of an excuse to buy another guitar - it never hurts to have one ;-). Along with the other answers, I will encourage you to do so by giving the example of Shavo Odadjian, bassist of System of a Down. He uses a B string in stead of the E string, also because it would be too loose (they use drop C tuning). Not the answer you're looking for? Browse other questions tagged guitar tuning strings or ask your own question. What is intonation and how can I find out if my guitar has correct intonation? How many drop tunings can I use with one set of strings? Why thinner strings in a pair are on top position?